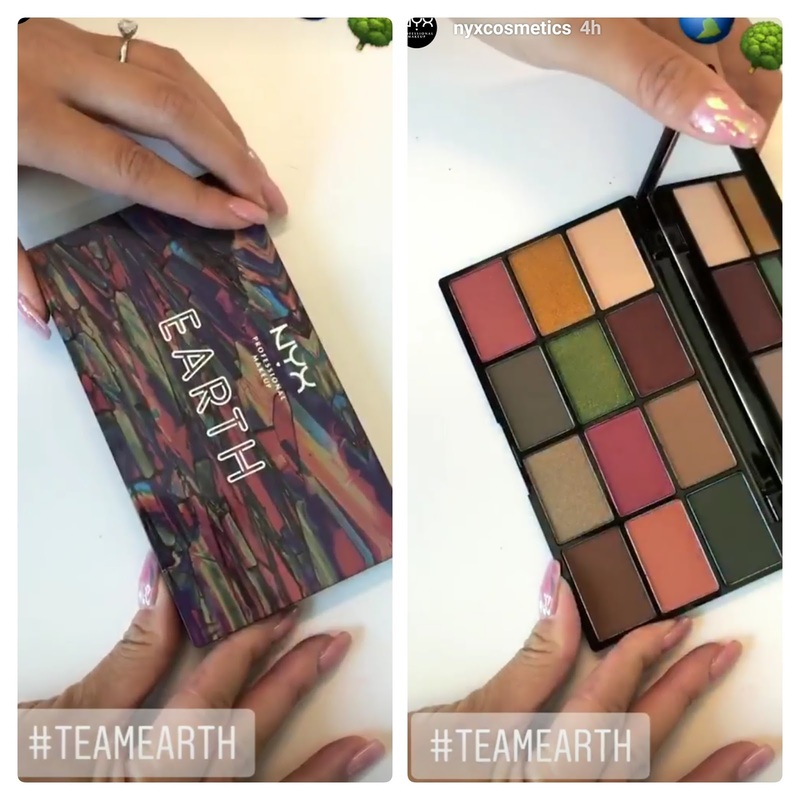 Just when I thought that we wouldn't be seeing any major new releases until the Holiday collections drop in a few weeks, NYX Cosmetics previewed 6 new palettes on their Instagram Stories last night. The collection, called In Your Element features themes like Earth, Fire, Water, Air, Metal, and Wind. 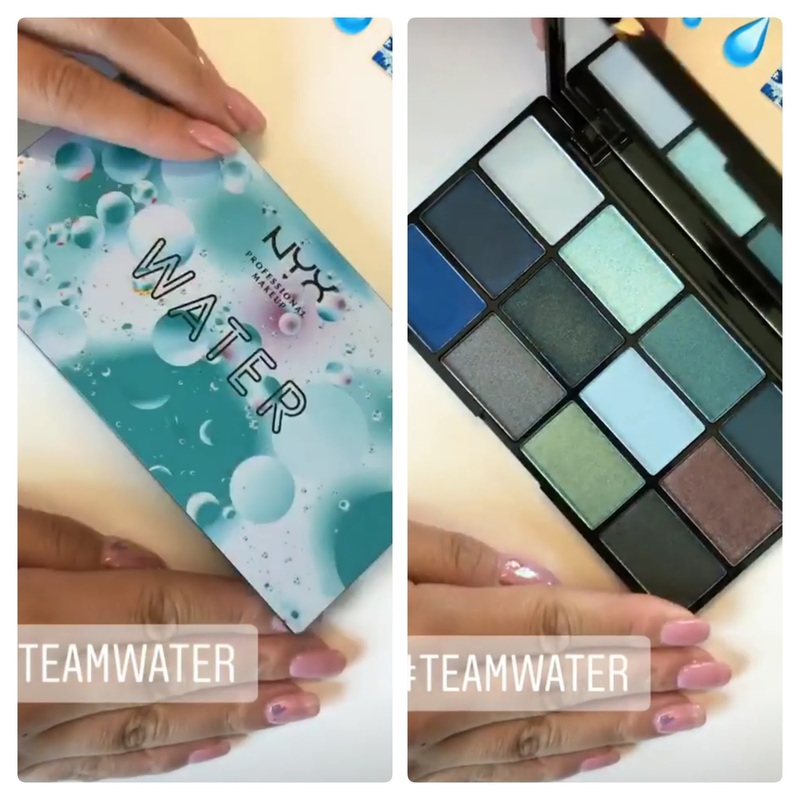 The palettes are launching 9/4 at NyxCosmetics.com and at NYX stores, 9/10 at Ulta.com, and 9/24 in Ulta stores. I have my eye on the Earth Palette (above), as the warm neutrals with pops of green are calling my name for fall. The Water Palette has pretty aquatic shades of blue, turquoise, deep green, and seafoam green. 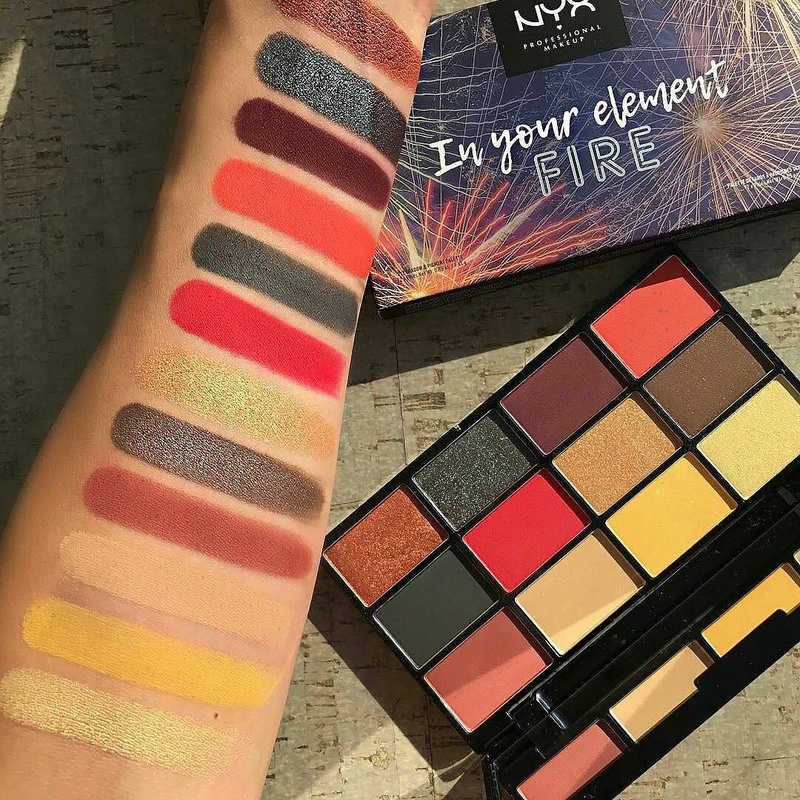 The Fire Palette contains warm-toned brights like yellow, coral, and red as well as deep neutral browns, green, and black. 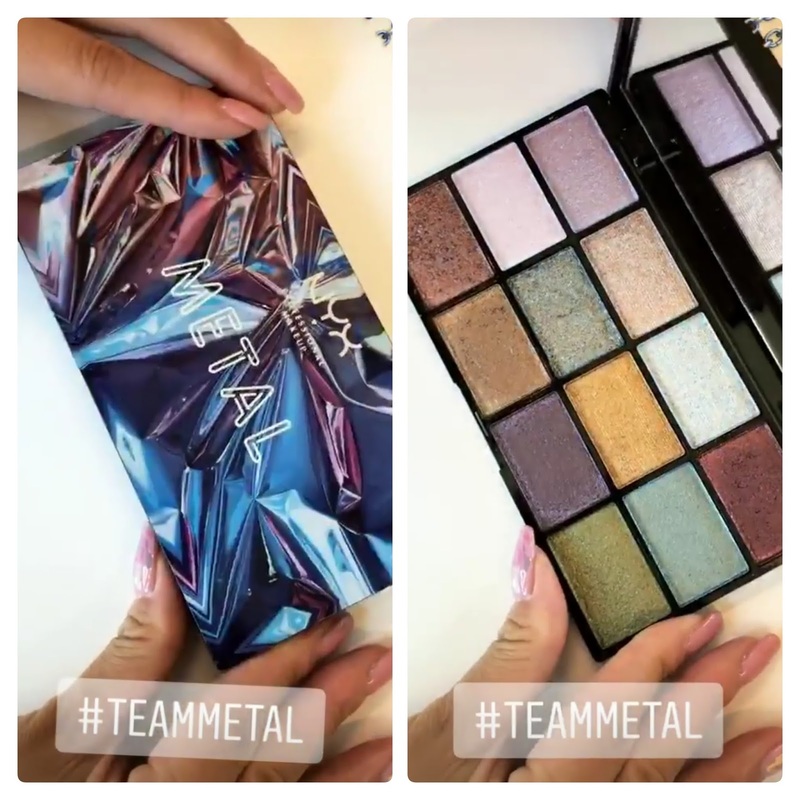 I also have my eye on the Metal Palette which has some really gorgeous metallic shades in wearable neutrals and light washes of color. 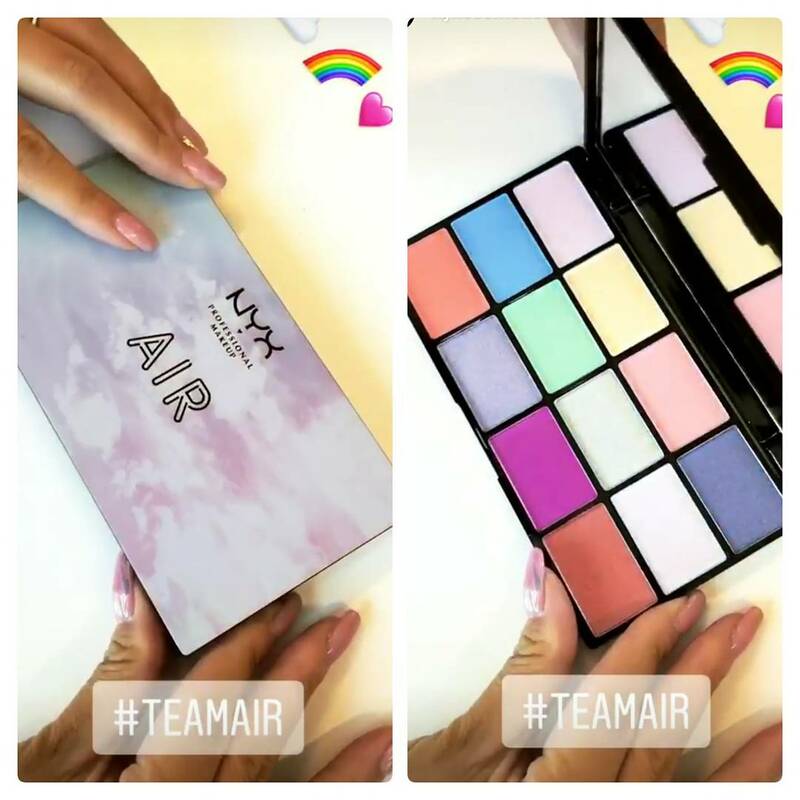 The Air Palette features pretty pastels with a pop of hot pink, coral, and cornflower blue. Finally, the Wind Palette contains smoky shades of grays, blues, and black. 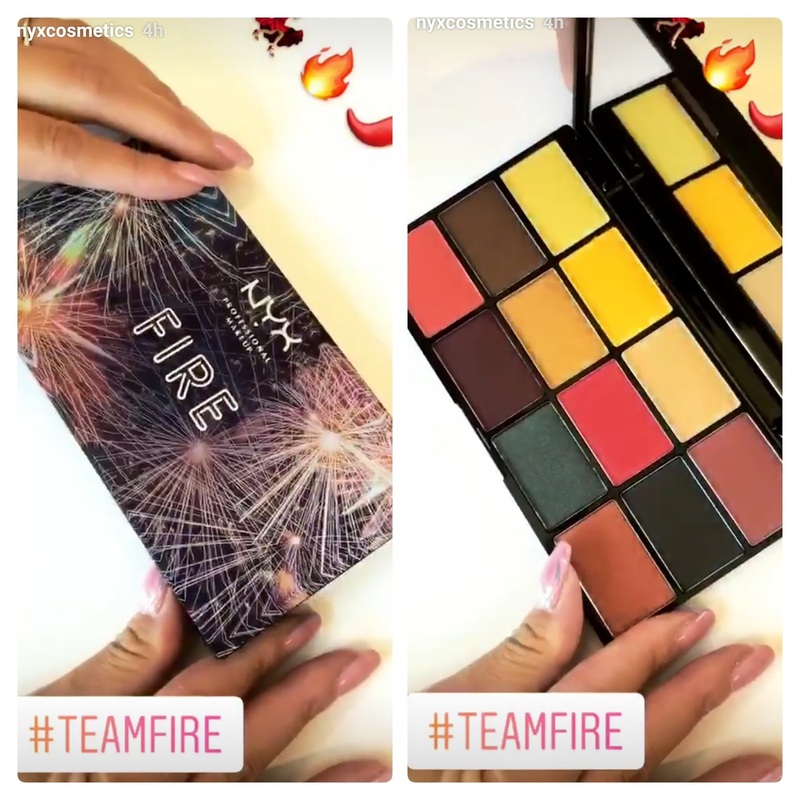 I was also able to find swatches of the Fire Palette from @iluvsarahii on Instagram. They look incredibly intense and pigmented, so I'm really excited to get my hands on a few of these! 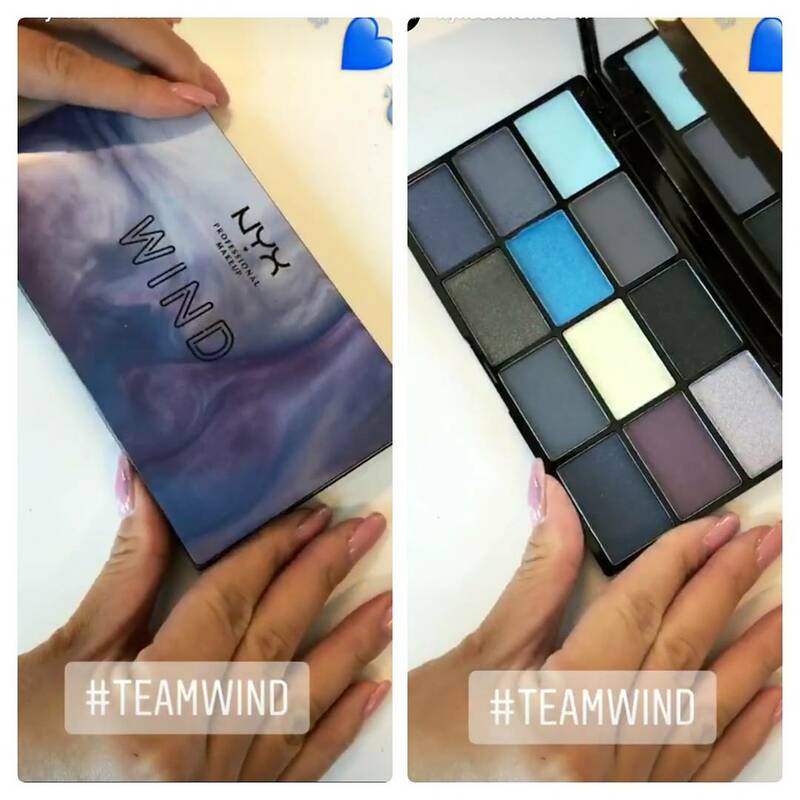 I'm not sure of pricing just yet as NYX hasn't announced it yet, but I'll update this post as soon as I find out. Are any of these palettes on your list to try? They're $30 each, the lipsticks are $10 each.